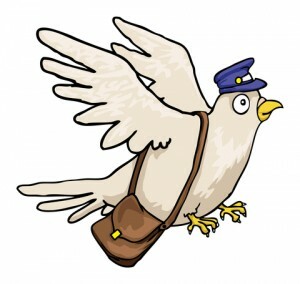 Welcome to the SFDC99 mailbag! You email sfdc99.mailbag@gmail.com with any question on your mind. I answer your [anonymous] question on SFDC99 via a new post. Let’s be honest, you’ve always come up with better content than I have. I want to promote the best, most timely questions. 2017.04.30 What’s the story behind the “SFDC99” name? 2017.04.29 Where is Apex Academy #4? 2016.04.28 How’d you get into Google? 2015.07.13 Am I writing good code? 2015.03.07 What to learn first? 2015.02.12 Consult or work in-house? 2015.02.10 Older person – should I still learn Salesforce? 2015.02.02 How do I learn Visualforce? I’m trying to display videos as a part of a Visual Flow in salesforce Lightning. I’m sure there is no functionality present to embed videos in visual flows. Please suggest me a way to achieve the same. Not sure about this sorry! Mavensmate does not seem to be available for download anymore. Is there another IDE that I could use to follow along with your tutorials? Hi David, I want to do PD1 and PD2 ceritification, what will be needed..
Hi David, I want to do PD1 and PD2 ceritification, what will be needed. 1. I am trying to develop a account search page. The results must include the following columns account name, billing state/province, phone and website. The code I have so far but it is not coming back with the accounts. 2. Develop a grid of accouunt which can be selected. Once selected and the “Show Selected Accounts” button is clicked, information from the selected accounts is displayed in the “Selected Accounts” table. How do I do this and were do I start. The code I have is is bringing up contacts not accounts. 3. Produce a page which displays Accounts and related contact using only one query. When I tried out this example from Apex Academy, I’m getting as error :”Initial term of a field expression must be a field sObject :list. What am I doing wrong? i am facing issue while I am uploading and processing above 3000 records using vf page. it’s throw the error like, onclick java script button or link was encountered and limit.system exception:Regex too complicated. With the inputs from SFDC99,got the job in salesforce.Now I am struggling to do the job,because i learned theory is different from practical.Please suggest me on this and do the needful. Please just use my initials or first name only and not my full name on my post before. Thank you! I recently got my Adm201 and Dev401 certifications …. On my way to meeting your Certification challenge. I homeschool my children and also do contract work. I am not sure my resume is doing it’s job as I pursue other contract work and I was wondering if you had the time to look at it and give me your impression/suggestions. I have followed you suggestion on LinkedIn and have gotten inquiries from my profile…. but didn’t get a response when I submitted an application for a contract position. you can use changeset, eclipse, ANT Tool. When making triggers, when it is ideal to make the trigger in the trigger section vs. making it in the apex class and calling that class from the trigger section? Always in the Apex class, if you understand what you’re doing! Just check the version of your apex class. Make sure that the current apex class version supports the annotation. Thanks David for all your effort and its gonna be a great Idea.